Frantic Dog Won't Leave Plastic Bag Alone, Then Neighbor Realizes Something Is Terribly Wrong. 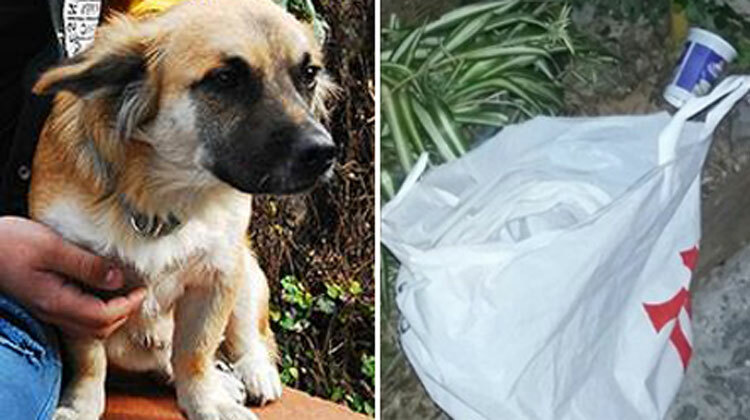 Frantic Dog Won’t Leave Plastic Bag Alone, Then Neighbor Realizes Something Is Terribly Wrong. 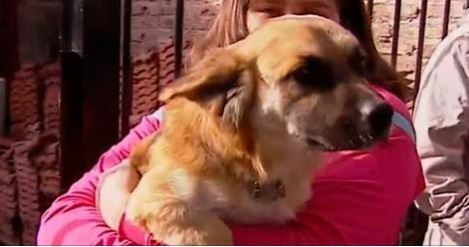 A dog in Argentina is being hailed as a hero after making the heart-breaking discovery of a one-month-old baby boy inside a plastic bag near the capital city of Buenos Aires earlier this month. 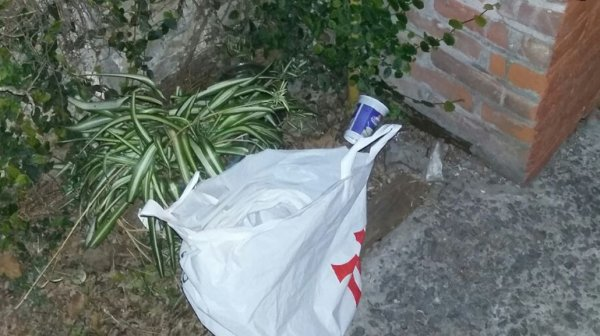 On June 6, a neighbor spotted Orejón – a well-known and much-beloved neighborhood dog – sniffing intently at a large plastic bag that had been discarded along a street in Vicente López. “He was smelling and barking at a bag. 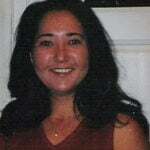 I approached and saw that there was something strange,” the neighbor recalled. You can only imagine everyone’s horror to discover the discarded bag contained a sleeping infant, whose age at the time was estimated at 28 days. Temperatures were particularly cold that night, and authorities say the baby could very well have died if not for Orejón’s persistence. 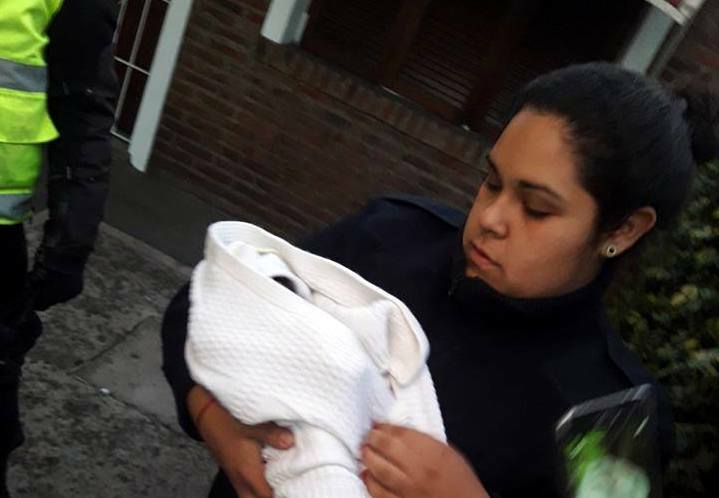 The baby boy was rushed to a nearby hospital, where doctors determined the already malnourished and anemic infant was now suffering from hypothermia. But a city health officials says he’s now “in perfect health” and has since been baptized Mateo. Though footage from a surveillance camera has produced no leads so far, officials are continuing their search for his parents. 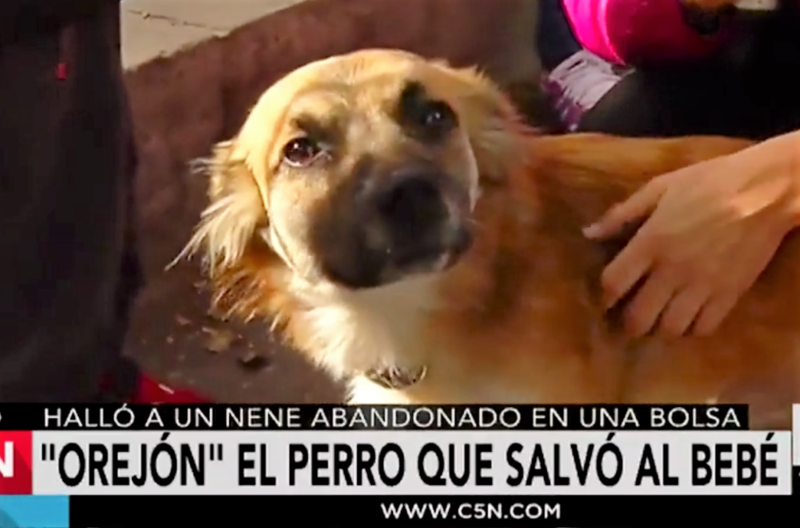 Little Orejón has a history of coming to the rescue when he senses humans are in danger. Two months ago, he alerted his owner’s neighbors when their house caught fire. Share to spread joy that this helpless baby was saved thanks to man’s best friend!